Every weekend, when the snow starts falling, so begins the mass exodus to the ski resorts. Most Denverites either spend their winter stuck in I-70 traffic to and from the slopes, or hibernating at home. Isn’t it time you took a break from lugging your gear west and opted for an outing of another kind? 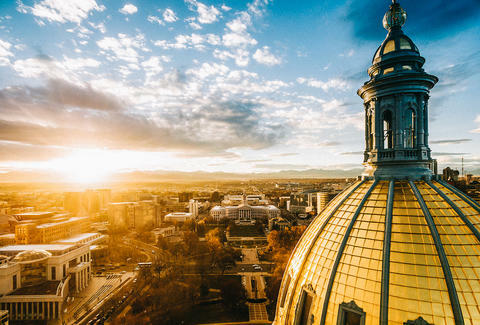 There are plenty of cultural adventures hiding in the Front Range that offer a dose of art, history, music, and maybe even the chance to, you know, learn something. Plus, there’s not a chair lift in sight. 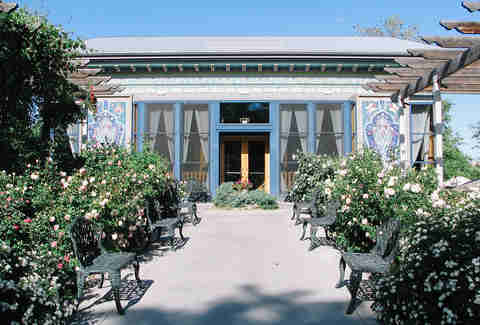 Step into Central Asia at this creekside building that was built by hand by artisans in Boulder’s sister city, Dushanbe, Tajikistan, over four years starting in 1987, then disassembled and shipped piece by piece to Colorado. After arriving, the pieces sat for years until funding was raised to finally reassemble the intricate building in 1998. Now, it’s a fully-functioning restaurant; on weekends there’s a traditional afternoon tea service along with brunch and dinner. From the intricately painted and carved ceiling to the Fountain of the Seven Beauties, which features life-sized copper sculptures of seven princesses, every detail of the building, inside and out, is steeped (tea joke!) in history. While most famous for its slopes, this ski town is also home to a bustling arts scene, centered around a one-acre campus of renovated historic buildings tucked off Main Street. 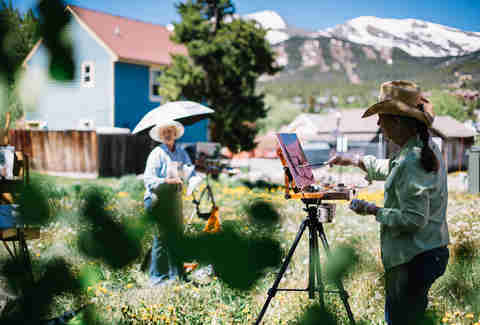 Run by BreckCreate, the same organization behind September’s Breckenridge Film Festival, the district’s buildings offer weekend classes on skills like printmaking, ceramics, photography, and even beginner glassblowing, for a cost of $20. Just remember to leave your skis at the door. If you’ve heard of the small town of Nederland, outside of Boulder, it’s probably because of their quirky claim to fame -- the “frozen dead guy” that resides there and the festival that celebrates this peculiar inhabitant. While “Frozen Dead Guy Days” only happens one weekend a year, the Caribou Room is worth a trek to the hills all year long. 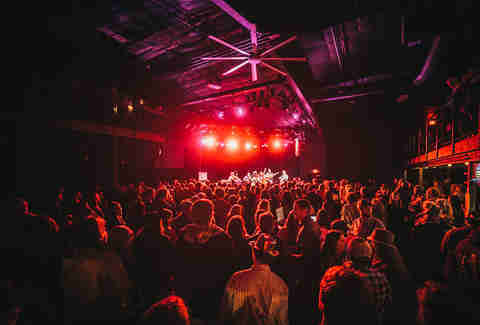 The little-known music venue opened in 2016 and has a 500-person capacity -- in a town of about 1,500 residents. The lineup is eclectic; upcoming acts include Boulder-based funk group Amoramora, the Colorado folk band Canyon Collected, New Orleans’ famed Rebirth Brass Band, and steel guitarist Roosevelt Collier. Plus, not only is the space huge, it’s also zero-waste and solar powered, so you and your eco-friendly pals can feel good about spending an evening dancing your worries away to live music. Most people head to Estes Park to access the outdoor adventures awaiting in Rocky Mountain National Park, but if you venture downtown, instead, you’ll find the oldest continually-operating motion picture theater in the US. Originally opened in 1913, the Park Theatre has survived wind, lightning, and flood damage, and still shows new releases daily, as well occasional classic screenings, plus hosts a number of live music events. Also, not to worry, the equipment has been upgraded over the years, including a new screen, digital projector, and sound system, so you can watch The Shape of Water in all its cinematic glory. Before heading to the Coors Brewery to secure your free tour beers, stop to enjoy a quick trip to the moon. Well, at least a piece of the moon. 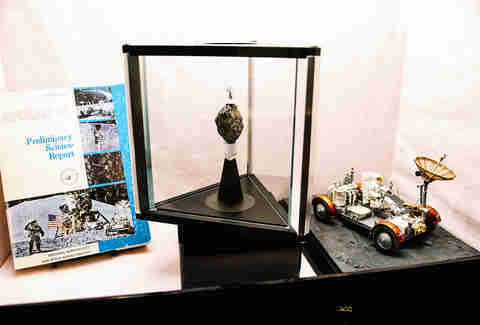 This museum on the Colorado School of Mines campus is home to several treasures, including moon rocks collected during the Apollo 15 & 17 missions. Opened in 1874, the museum itself is historic, and it’s filled with over 2,500 mineral, fossil, gemstone, meteorite, and historic mining artifacts. And while the US doesn’t have actual royalty, here you can get a peek at the next best thing, the gemstone-studded Miss Colorado Crown. This red brick building just off South Broadway in Denver’s Rosedale neighborhood may look unassuming from the outside, but there’s a whole lot going on inside. 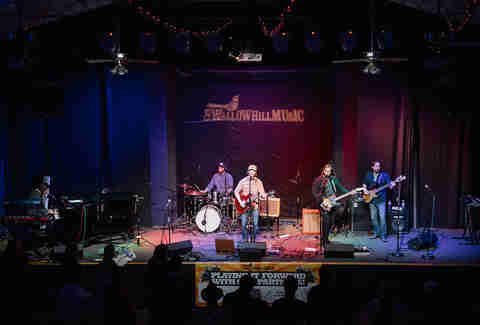 The non-profit music school/concert venue not only provides a slew of classes for kids and adults (everything from intro to piano to workshops on using GarageBand), it’s also got a packed live event schedule of folk, roots, and blues acts. Plus, Swallow Hill is the regular venue for The Moth’s monthly story slams, where you can go watch audience members (including you, if you’re up for some public speaking) take the stage to compete for top storyteller of the night. Each month has a different theme, so take a peek at the schedule and start preparing your best tales. It may not be a traditional “cultural” activity, but you can learn a lot about animal conservation at the Wild Animal Sanctuary, where lions, tigers, and bears (and wolves, and camels, and alpacas…) roam free on the state’s eastern plains. 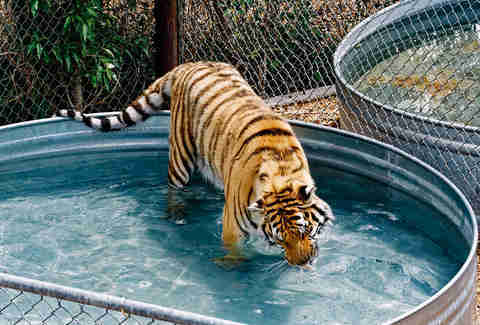 Over 450 animals currently call this place home, and all were rescued from illegal or abusive situations. Unlike traditional zoos, this 720-acre sanctuary features large-acreage natural habitats that visitors can only explore via a 1.5-mile elevated footbridge (the world’s longest). It’s like a safari in your own backyard, and the facility is open year-round, weather permitting. So take advantage of Colorado’s sunny winter days with a dose of wild adventure. After Robin Williams’ death in 2014, this unassuming house on Pine Street became a makeshift memorial for the actor thanks to its role in the classic TV show Mork & Mindy. The location was used for exterior shots of the home shared by Mindy McConnell (Pam Dawber) and her extraterrestrial roommate, Mork (Williams), and snapping a photo in front of the two-story, Queen Anne-style house is now a must-do for pop culture fans. The residence is privately owned and interior tours are a no-go, so suppress that urge to knock on the door -- you don’t want to be “that guy,” do you? Molly Martin is a freelance writer in Denver, Colorado, who is always on the lookout for fun things to do. Follow her Mile High adventures on Twitter and Instagram.